Decorating your home in a unique style that will tell visitors more about the kind of person you are is hard. You have to find the perfect pieces of furniture – but you wouldn’t expect a chair to change the aspect of an entire room, right? Well, that’s not exactly true, and to prove it we will now present to you seven of the coolest and funky chairs you should really consider having in your home. We all love hammocks – just because of the sense of freedom they give us as we relax, suspended in the air. So, why not have a hammock-shaped as a chair inside your house? This item from SueSport comes equipped with a steel C-stand, which makes its attachment possible almost anywhere in your house. Moreover, it’s made out of cotton fabric and comes with two soft cushions for you to rest on. The steel stand and the overhead bar, which are made out of wood, are capable of supporting up to 265 lbs. Just imagine watching your favorite show while swinging in your chair. If you really love driving and you have even equipped your car with a racing style seat, but you are pressured by your job and can’t enjoy it, then this is a chair that you’ll definitely want. 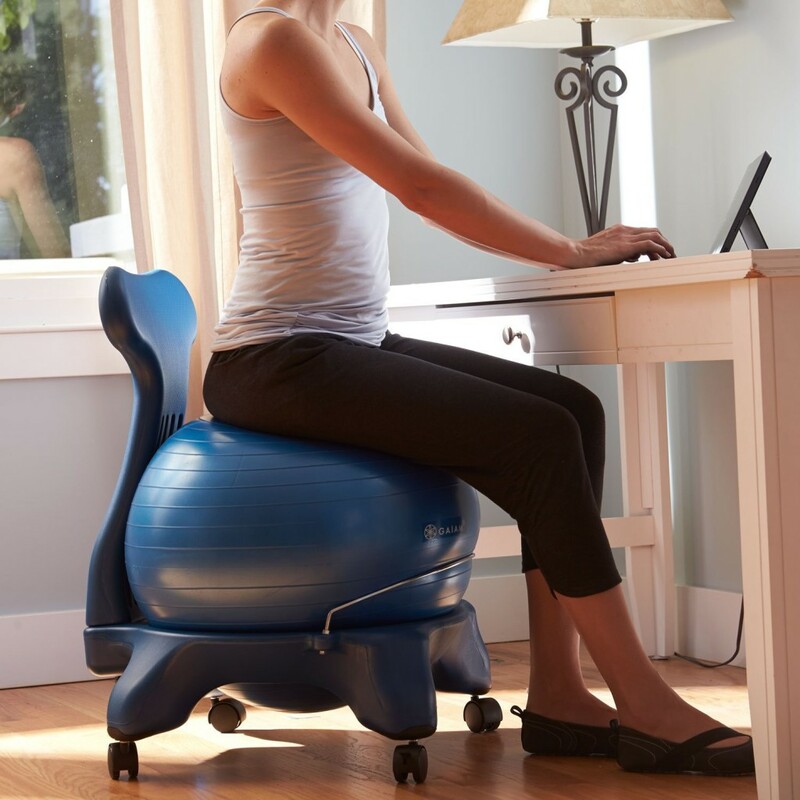 It works perfectly as an office chair, while still keeping the ergonomic racing style look and feel. You can adjust its height to your liking, recline the seat back to find the best gaming position, and also flip up its arms. Moreover, you will clearly feel comfortable while sitting in this chair, as it comes with a padded headrest, arms, as well as with contour segmented padding. In case you need one extra chair laying around for any unannounced visitors, then you should have a look at this POLY & BARK chair. First of all, it’s very easy to assemble – you can keep it stored somewhere and use it only when you need it. Therefore, it won’t take up a lot of space and will be in one of your rooms only when required. Even though it’s base is made out of wood, it is reinforced and equipped with wires, for increased safety. The plastic meant for the sitting area, so to call it, is made out of Duratek Infused Plastic, which has a thickness of 6.5mm. Do you have a fancy porch – and you don’t want any chair to ruin its appearance? Well, this camping chair could be your best bud in the mornings when you want to enjoy your hot coffee on your porch. Because it can be folded, you can easily store it in your garage or in a place where the chair will be out of sight. Moreover, it has a special feature, added for those of you that enjoy cold drinks. The chair comes equipped with a built-in cooler pouch that can hold up to four cans of your favorite drink. Thus, lay back on this fully cushioned seat, grab your beverage and relax. If you are looking for decorations for any room, then you might want to have this chair in your collection – of course, as long as you can hang it wherever you want. Because of its camouflage-type of design, it will probably be a good fit for every other piece of furniture in your house. You can use it in your bedroom, by your working area, in the hallway, or in one of the corners of your living room. Place it facing a window, have some books near it, and get ready for a calm and comfortable reading session. Working from home means that you will spend a lot of time at your desk. If so, then you need a fancy and comfortable chair to make your working hours go by faster. Luckily, this chair from Elle Decor can provide you with all of this, as it comes with a modern, minimalistic design, making it a perfect fit for your workspace. The fabric of the chair comes in bold colors, for that splash of creativity you might have needed in your room. The seat itself is made out of bentwood and has a stainless steel base, and can also be easily moved because of the multi-directional wheels. Nothing is more heartwarming than having kiddy chairs in your home. They just add that spark of funny and cute to the rooms they are placed in – be it the children’s room or your bedroom. This chair from iPlay, iLearn comes equipped with a back-resting part that’s shaped like a cow’s head – with fun colors, as well as with a white and black sitting area. The chair is 100% wood, namely timber, and it is also painted with an easy to clean, non-toxic paint. Because of its sturdy construction, children won’t be able to tip it over. Chairs are one of the greatest and oldest inventions in our world and have been here for our needs ever since the beginning. Throughout the centuries, they have been forged from countless materials but each of them have always told a story. From king thrones to stools, benches, and farmers’ chairs, all of them have served their purpose. Nowadays, finding the right chair for you seems more complicated than ever, especially since there are thousands of designs that could meet your criteria. So how should your perfect chair look like? When searching for these items it is important to set up some ground rules for your decision-making process. For instance, setting up a budget would help you eliminate plenty of options that are not viable, so you can stick to the ones that could find a place in your home or office. Secondly, you need to consider your chair’s main attributes and purpose. Are you looking for an office chair? Do you want a relaxation chair or one to help you sit while eating in the kitchen? Or maybe you need a specific chair for your baby? So, if you don’t have the time or the mood to go shopping for the right chairs on your own, we hope that our following selection of the coolest and funkiest chairs will help you find the right item for your needs. Good chairs are not easy to find, even with the abundance of products available today in markets and online stores. Thus, we suggest starting your journey with the best chair reviews you can find online from verified customers. This way, you’ll know what the features that you should look for the most are. If you still have trouble finding the dream item, here are some of our suggestions. Assuming you’re looking for an awesome baby high chair, you need to take into account various aspects such as size, design, and portability. First of all, the new baby chair should have an adjustable seat to accommodate children of various ages and weights so you won’t have to invest in a new one every time your kid grows a couple of inches. Secondly, the product should be made of durable materials, preferably FDA-approved plastic which is non-toxic and non-harmful for your toddler. Bear in mind that small babies are similar to puppies when they are growing their teeth, meaning they’ll have the urge to chew just about anything, and your baby chair won’t be the exception. If you’re opting for the best chairs in the world for your kid, make sure they are lightweight and easily foldable. Such a model will be easy to store whenever you’re not using them without occupying too much space. In addition, thanks to their flexibility and lightweight design, you’ll be able to carry them with you everywhere you go so your baby stays comfortable away from home. If you’re looking for some popular office chairs within a reasonable budget, you can always hit the stores near you and see their offers. But, no matter your budget, you should keep in mind that your new chair should sustain your daily activity and provide maximum comfort and support for your back during office hours. Mind that most people who work in offices spend at least 8 hours a day sitting and not all of them take their 10-minute break to walk every one-two hours. Thus, most office workers are predisposed to back and neck problems, especially if they don’t get the support of an ergonomic chair. An ergonomic chair should match your spine and back perfectly, being tall enough to cover your head as well. It should be made with a solid metallic base to withstand big weights but should also feature soft padding and line on the exterior to provide maximum comfort while sitting. Look for ergonomic chairs with PU leather or real leather exteriors as these will not only add a touch of luxury to your office but will also be strong enough to support your back and spine throughout the day to avoid future back problems like scoliosis. These new chairs for sale could be quite expensive but investing in a qualitative one will save you big money in the long term. If the design is everything you’re looking for in a good chair, there are plenty of options to spend your cash on. Some of them are created by great architects and feature luxurious finishes, while others shock through their simple designs, funky architecture or the chosen materials. 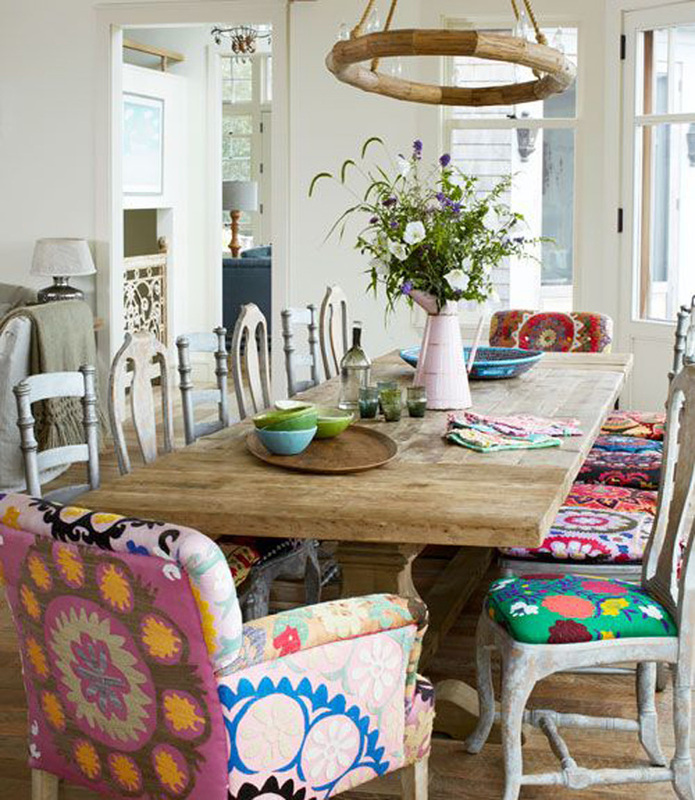 Keep in mind that a funky and cool chair could definitely boost the entire room and create an entirely different vibe. It may even become the center of attention if you’re opting for a daring design. So, without further ado, here are some of today’s chair designs we definitely urge you to look for. Just like the name suggests, these chairs are mainly made of transparent materials which look cool enough when located in the right background. They are usually made of plexiglass for maximum visibility on both sides. However, bear in mind that the chair’s structure should be made of metal or something similar in order to resist transportation and heavyweights. For maximum effect, you should always purchase clear chairs in white plexiglass. If you’re looking for an exquisite design that offers you multiple ways to relax, the Hush chairs are exactly what you need. Their unique design allows you to comfortably sit on them as they are similar to poufs, but also provide a cozy interior where you can relax, read, and even nap. And, if you want maximum privacy, you can always close your chair until you’re ready to face the world once more. For those who fancy the butterfly shape, a luxurious and long-lasting option would be a leather butterfly chair. These come in various shades and types of leather to match your tastes and represent the classier version of regular foldable chairs.